The college admissions process is a journey for students— one that begins with introspection and self-awareness and ends with making a major adult decision about the path to be taken after high school. For possibly the first time in their young lives, students will need to contemplate who they are and what they want from college. It is only through this self-analysis that students will be able to compose thoughtful and compelling essays that will leave college admissions officers wanting them to come to their school. And this same self-analysis– determining their likes and dislikes and wants and needs– will help them decide which college is the best match for them. The college admissions process is a journey for parents too. 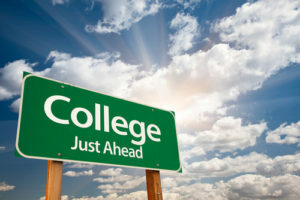 Parents will start by worrying about whether their child will get into a great college, and end by worrying about him/her leaving the safety of the home nest once they get into college. Many will also worry about how to pay for college without straining the family’s finances. All-in-all it can be a daunting, stress-filled time for parents and students alike. For every student and parent embarking on the college admission journey, Admission Essentials wants you to know that we can substantially demystify the process for you. We will guide you step-by-step– explaining procedure, giving clear instructions and offering cogent advice on how to find the best college for the individual student and how to present the student’s best self to colleges. And we will show you how to access the many available resources for paying for college. With our personalized, practical approach, you will be able to navigate the college admissions process with considerably less stress and achieve substantially better results.